Scroll down to where it says “streamside sapling planting/Ready! Set! Plant!” and click on “sign up” for Copperfield Nature Trail. We will be removing young ligustrum and replacing with small native trees at Atterbury pond trail entrance. Treefolks is coordinating this event and will be bringing in some volunteers from throughout Austin. We’ve got volunteer slots reserved just for Copperfield volunteers, so sign up now to show your neighborhood pride. 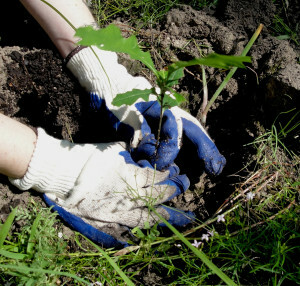 I’ve signed up and hope you’ll all join me in this fun event planting trees. Planting baby trees is very rewarding, as you can come back years later to see how your work has progressed into a big tree. National Public Lands Day – Volunteers Needed for September 24!